I love making guides. 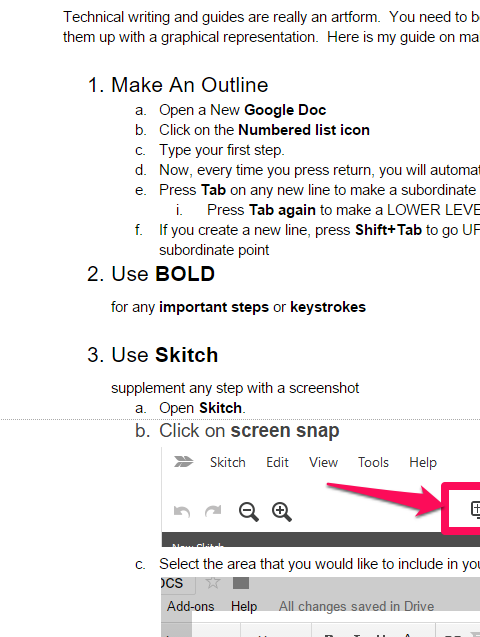 I make guides at work in order to provide step by step instructions on how to perform new tasks on new features. I have over 50 guides that cover most departments in our office. I like to show exactly where to click, what fields need to be filled out and in which order they need to be done. 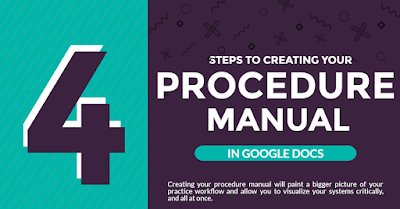 Making guides are not only informative for the individuals they are intended for, but are very helpful for those creating them to further evaluate the system into a well-thought-out, streamlined process. 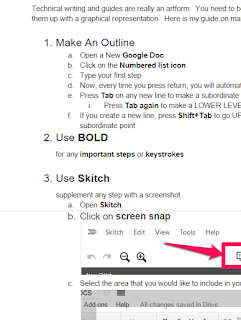 For this article, I will use Google Docs, Skitch, and the PrintScreen Button. The reason I love this trio is because it is a very simple, compatible, easy to use, cut and paste system.